How to Send Unique Emails to Thousands of Trucking Companies? ​If you send a bunch of identical emails at once, the chance is that the email client of the recipients will mark you as a spammer. What this means is that in such case, your emails will not even be read by the truckers, so your efforts will go to waste. The solution is pretty obvious – send each list of trucking company a unique email. Of course, creating thousands of unique emails seems like a mission impossible. Luckily, you’re at the right place. We know how you can make unique emails without wasting too much time or energy. 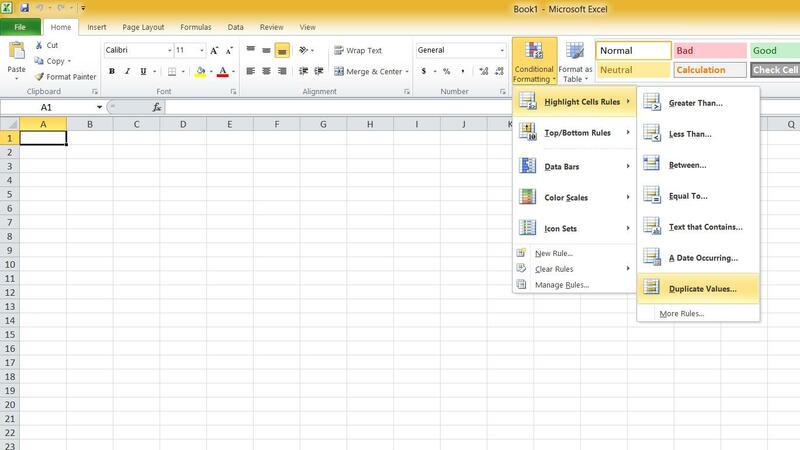 Create an interesting email, copy it, and paste into one cell of Excel. Then click on the bottom-right corner of that cell and drag it downwards. This way, you will make duplicates of that cell. Keep on dragging it until you make enough number of copies. By enough, we mean the number of cells that equals the number of emails you want to send. And when you’re finished, it’s time to make each one of those cells unique. To make each cell unique, you need to replace the words from the original with their synonyms. To find synonyms you can use websites like Thesaurus. Regardless of how long your original email is, you can certainly find plenty of synonyms for some words from that text. All that’s left is to replace them, that is, use some of these synonyms in some of the Excel cells. To do that, you just need to press CTRL + H on your keyboard. Find the words and replace with their synonyms. But, don’t click on “Replace All”. Instead, go one-by-one so that you can use another synonym from time to time. And when you’re done, you should have a list of unique cells. But, it’s best to check everything. This isn’t a job you should do manually, as it would take too much of your time. Instead, let Excel take care of it. ​To do this, click on “Home” in the tools ribbon on top. Then click the button saying “Conditional Formatting”. Pick the first option “Highlight Cells Rules” and once a menu appears on the right, choose “Duplicate Values”. ​A dialog box will open, asking you to confirm that you want all duplicate cells to be colored red. Click “Ok” and Excel will do its work. Then what’s left is to go through the entire document and make changes in marked cells, making them unique. The final thing you need to do before you start sending emails is add the right name of the person. Otherwise, your emails might seem too generic. The good news is that this isn’t too difficult. You just need to paste the list of truckers’ names in a separate column (let’s say, the column B) and use the function SUBSTITUTE. Hit enter and the function will change the generic name with the real name of the email recipient. Drag the function box down to make changes in other boxes as well. In order to send these emails manually, you would have to copy each cell from the Excel document and paste it into your email client. This is something that could take hours to complete if there are thousands of emails you wish to send. That’s why a much more convenient solution is to use a tool that will do this automatically. SwipeEmail.io, EmailMerge.cc, and Vocus.io are some of the tools that can reportedly help with this. The number one reason why people decide to buy the directory of emails of trucking companies is to launch an elaborate marketing campaign. With so many emails in your possession, you are bound to send a message to a company that is interested in what you have to offer. Still, this amount of useful info can be used in other ways as well. For example, you can use the directory to raise your brand awareness. In regular email campaigns focused on trucking companies, the messages are sent to a smaller number of companies, which are carefully selected. Basically, before launching the campaign, you are required to do your best to narrow it only to the companies that are likely to be in a need of your services. It’s about quality, not quantity when it comes to targeted email campaigns. However, when it comes to raising awareness of your brand, the rule is “the more, the merrier”. Even if your emails reach people who are not interested in doing the business with you, the fact that your company exists will get stuck somewhere in their minds. This way, by making a lot of people familiar with your business, you’re investing in the future. ​How to Make Everyone Remember Your Brand? ​It’s all about the looks! The first thing the recipient of your email is going to notice is your company’s logo. That’s why you need to make sure that it is awesome! A good logo is simple and easy to recognize. Think about the logos of Shell, Apple, Nike, and other successful companies – they all get stuck in your mind. Making a logo is not an easy job, which is why it seems wise to leave this work to the professionals. Apart from the logo, you also need to make the design of the email itself looks pleasing to the eye. The good news is that whichever email marketing software you’ve picked, it will offer you with a wide choice of different templates. Remember, email marketing campaign is just a way to arise the interests in people about your company. It is not enough to do a good job with emails, if you don’t have an impressive website. Emails are there to intrigue people and make them crave for more info, while the company’s website is the place where they’ll find all the answers. The website needs to informative, yet also entertaining. It should be the place where visitors can learn a lot about the business you’re dealing with, which in this case is trucking. But, the content must not be boring. They can always go to Wikipedia to find more about the subject, but if you make the articles on your site interesting, the visitors will keep coming back. Trucking business has always been profitable, especially in the United States. In order for the industry to function, goods and resources need to be transported from one part of America to another. That is why when the trucking business is connected with literally any other type of business. With that in mind, it seems fair to say that there will always be work for truckers. On top of everything, business forecasts for the next couple of years predict that the trucking business is going to become even more profitable. Starting your own company thus seems as a very wise choice. However, every beginning is hard, which is why you need to take it very seriously. In order to be successful in today’s business climate, you need to advertise your company the right way. Only when enough people learn about your business, you can hope for making big money! In order to help you spread the word about your company to as many people as possible, while not splashing too much money, we’ve decided to help you out. Here are three best marketing methods that are bound to make your company recognizable across the United States. Email marketing is by far the most cost-effective marketing method. It’s very cheap, as all you need is email software and a database with electronic mail addresses. The software for sending promotional mails is not too expensive and you can even find some programs that are totally free of charge. When it comes to the list of emails, it’s also fairly affordable. But, when choosing one, you need to be careful that it contains 100 percent legit data, obtained through legal sources, such as Yellow Pages. The database needs to contain a big number of emails, but also info like the company’s exact location, number of employees, etc. One list that fits the description is the one found at www.ustruckingcompanies.com. Apart from containing over 26,000 email addresses, it also comes with nearly 130,000 telephone numbers, meaning that you can use it for a telemarketing campaign as well! ​If you are looking to make business-to-business deals with US trucking companies, the best solution might be to get in touch with them directly. You can call them on the phone and gave them your business offer. In order to get in touch with the people who have the power to make business decisions, you can use the data found in the US trucking list. A trucking company without a website is doomed to fail. You can’t expect to do business in the 21st century without an online presence. Not only will the potential clients find it hard to get in touch with you, but without a website, your company might appear shady. The website needs to look nice, but also to contain valuable info about the services you offer. In fact, you need to pay a lot of attention to make it good. But even that is not enough – you also need to promote it online, both through social media and Google. Email marketing is the favorite marketing tool of a number of people dealing with b2b. If you are looking to promote your business to the entrepreneurs from the same niche, or you want to offer them your products/services, the email marketing is the way to good. Not only is it extremely efficient for the fact that it allows you to focus your campaign, but is also very cheap! In fact, you don’t need to invest too much money in order to conduct a successful email marketing campaign, which will result in a large number of new business deals. All you need are three things – directory database of trucking companies, email marketing software, and a bit of creativity. The most important thing you’ll need for a successful email marketing campaign is a list of email addresses. The directory of emails needs to be big as that way you will increase the chances of success. But, it’s not all about quantity, the quality of the emails is equally important. By this, we mean that the emails need to be of those people who will be interested in what you have to offer. So, if you are looking to make business-to-business deals with trucking companies in the USA, you need to get an appropriate database. 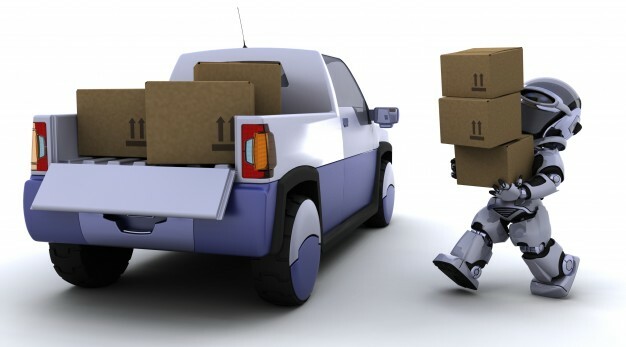 A good choice is to buy the database of trucking companies made by ustruckingcompanies.com. This database contains a huge number of emails, but also other important details that can make your campaign more successful. For example, you can narrow the campaign down and target only the trucking companies that do business in your state. Doing an email marketing campaign is a fairly simple task. All you got to do is take the emails and put them in email marketing software, such as MailChimp. The software will take case of most of the work, but you will still have to come up with a good ideal for the text of the messages. This is where you need to be creative and think of an offer the company owners will not be able to refuse! To find out what they need, you can do a research using the data from the directory of trucking companies, such as their business hours, payment, business hours, and so on. Apart from making good b2b business deals, you can use the list of trucking companies for a number of other purposes. You can use it to get more info about the trucking market if you are looking to start a company or expand the business. On top of that, data of trucking companies will also help you to generate leads, but also to do other ways of marketing, such as cold calling or telemarketing. Finally, the directory of trucking companies can also be used for finding the company the best company for shipping your goods. You will get details of hundreds of thousands of companies from all over the USA, so finding a reliable, yet affordable trucking company will not be that hard. There are hundred of thousands of trucking companies in the United States, which means that the offer is huge when it comes to the trucking industry. This is good as big competition means better service and affordable prices. However, it also means that finding the very best one among such a huge number of US trucking companies is not an easy task. With that in mind, we decided to provide you with three simple solutions on how to find the perfect company for your business’ needs. The easiest way to find a good trucking company is to ask your business partners for a recommendation. If you know people who have been in this business for a long time, you can ask them about their experiences with US trucking companies. This way, you might not find the best one, but you will at least know which companies you should stay away from. A similar method for finding a good trucking company is to take a look at your competitors. If your business rivals are successful, it means that they’ve been doing their job good. It also means that they’ve made good business deals, including those with trucking companies. So, if all of your competitors are using the services of FedEx, you should probably use it too! If your shipping requirements are specific, the largest US trucking companies might not have what it takes to do the job the right way. For example, if you need to transport liquid from one place to another, you will need to hire a company that has tank trailers in their fleet. Similarly, if you need to ship the goods abroad, you will need a trucking company that does business in other countries as well, not just the United States. One way to find them is to try to Google it. The problem with this approach is that the best companies will not necessarily appear in the top results. Instead of the trucking companies that match your business’ needs, the companies with good marketing strategy might end up on the top of the Google search page. Whether you need to transport goods from one part of the United States to another, or you’re looking to make business-to-business deals with transportation companies, having a database of US trucking companies is a must! You can use the details from this directory to easily get in contact with the people from the trucking company who have the power to make big business decisions. Because of that, it seems that the list of trucking companies has the potential to take your business to the next level! The best thing about the directory of U.S trucking companies is that it will pay off real soon. It’s because the database is pretty cheap, considering the amount of data it comes with. 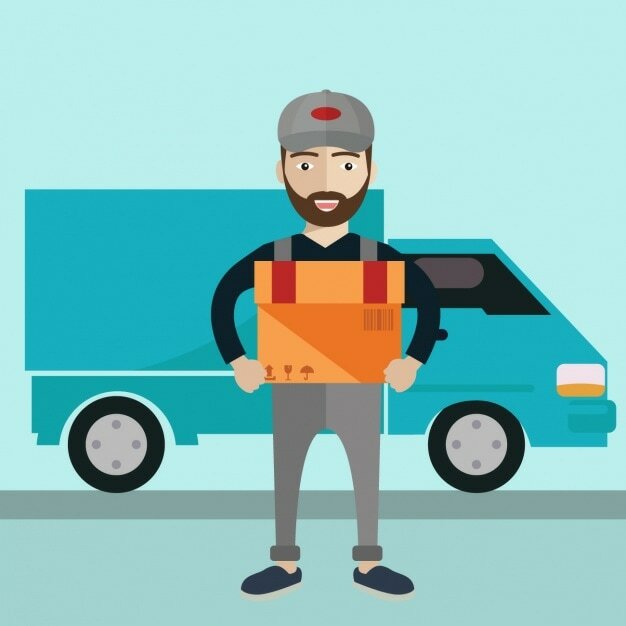 If you buy a list from ustruckingcompanies.com, you will get such important contact details as the email address of the manager, telephone number, mailing address, and so on.